Watch the latest film about the CWG! Read more about Watch the latest film about the CWG! Don't forget to book your tickets for the 2013 Nedbank CWG Auction Showcase taking place in Cape Town next Thursday, 22 August. Taste the wines produced exclusively for the 2013 Nedbank Cape Winemakers Guild Auction, past Auction wines and flagship wines presented informally by the members of the Cape Winemakers Guild at the "tasting of the year"! 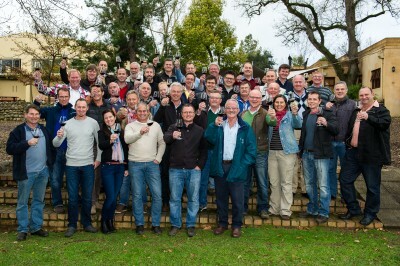 Toasting the 2013 Nedbank CWG Auction! Variety, great diversity of styles and unusual cultivars are the signature of the 29th Nedbank Cape Winemakers Guild Auction with no less than 59 singularly crafted wines – the biggest selection ever – to go under the hammer at Spier in the Stellenbosch Winelands on Saturday, 5 October 2013.